Knowing that technology is really booming in this century, even though we get pleasure from its advantages, can you observe how this affects our environment? Since some people are pretty concerned on this situation, they prefer to live in a greener society. 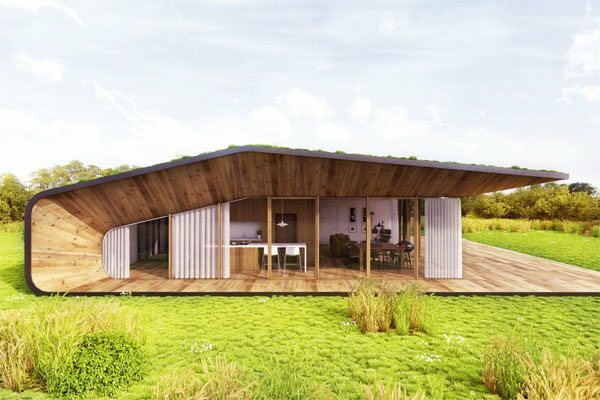 So nowadays, modern houses are constructed with an environmentally low-impact home design. 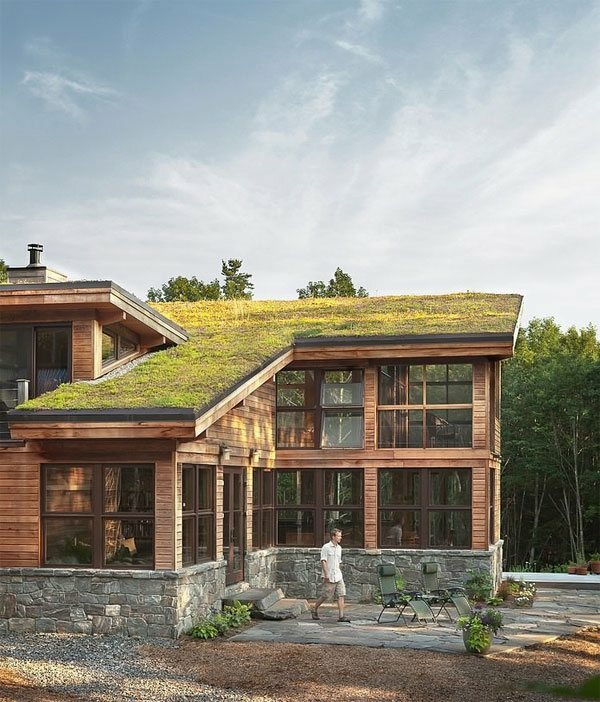 There are many ways to obtain this, you can use materials that demand a low energy usage or maybe, instead of the traditional way of roofing you can have green roof installation. 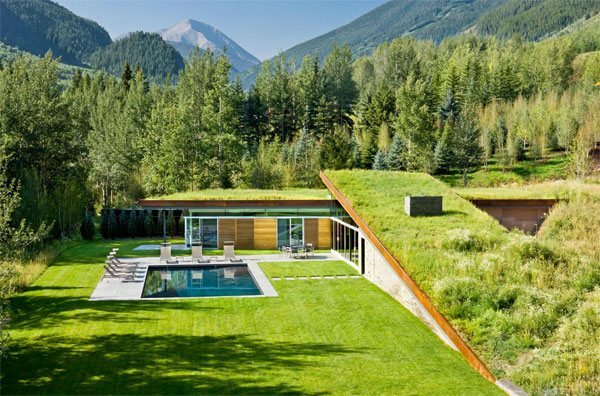 Green roof is also termed as eco-roof, vegetated roof or living roof. This is a design inspired by Europeans. 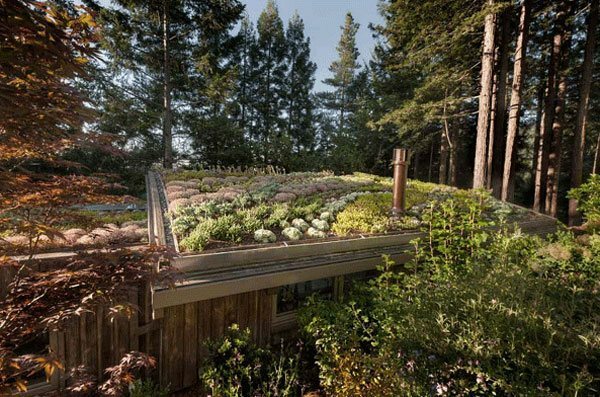 Some designs uses grass, sedum and mosses to beautify the roof. 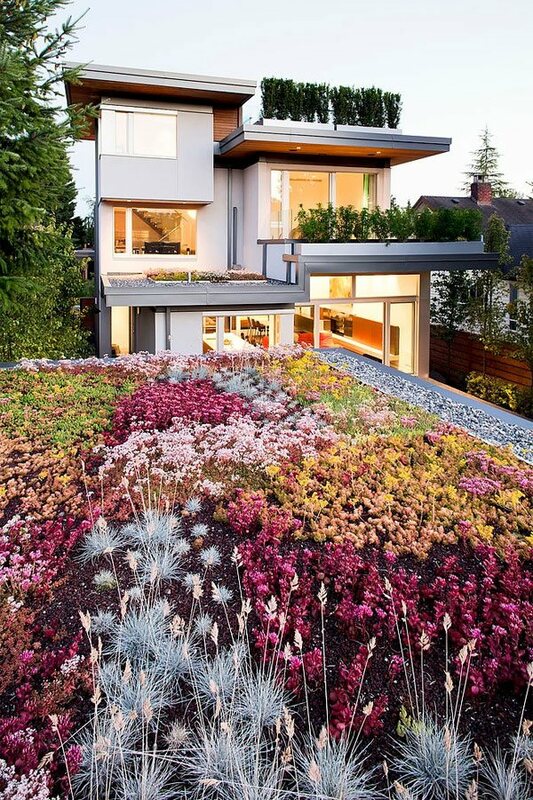 They say that green roof installation is more expensive than that of a traditional roof structure. But hey, its benefit is undeniably more environmental friendly. 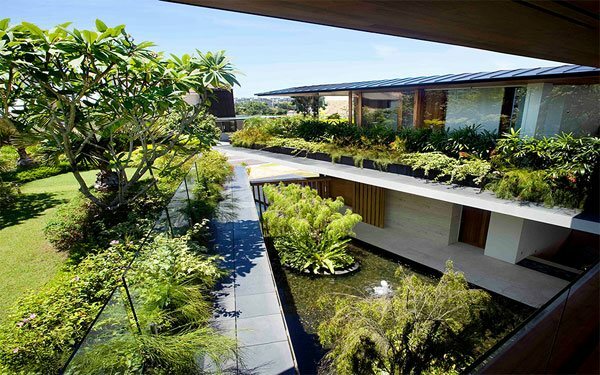 Apart from enhancing the house design, its intention overflows; just like absorbing rainwater, insulation, attracts and offers home for fauna, and lastly, creates a stress free ambiance to the people around you. The courtyard is centrally located which was cleverly fixed into the heart of the abode to experience the earth’s beautiful creation. 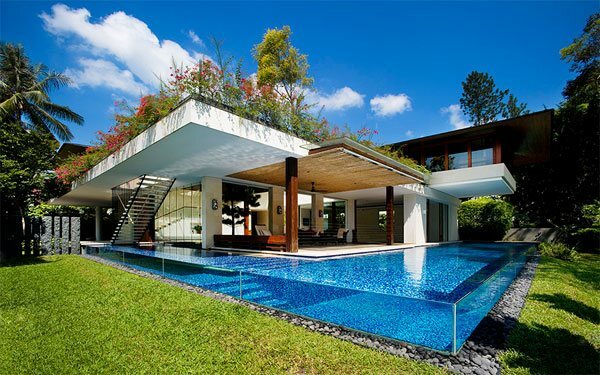 It would always be refreshing when a house is interacted with elements of plants and water. I believe that there must be a great affection for plants for you to be able to bloom them bountifully. I’m sure that looking from the top would give you an awe feeling seeing those beautiful flowers. 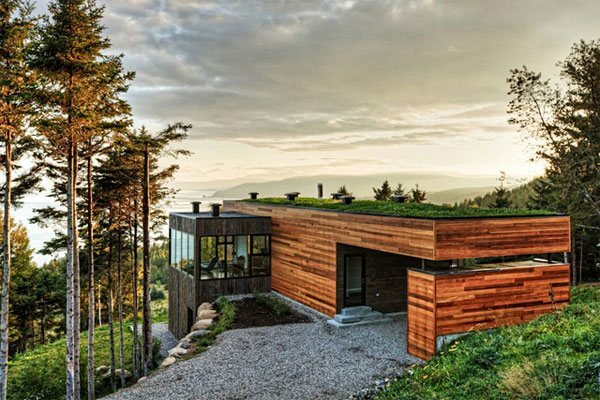 It would be perfect to use grasses for the roof when your house is being hollowed out from a hillside. 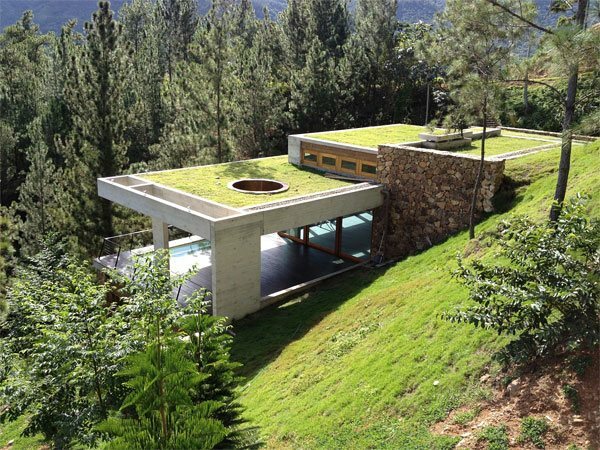 The house may be very modern in its materials used but using a roof grass would make it very attractive. Can you see how clean, organized and peaceful your environment would be? 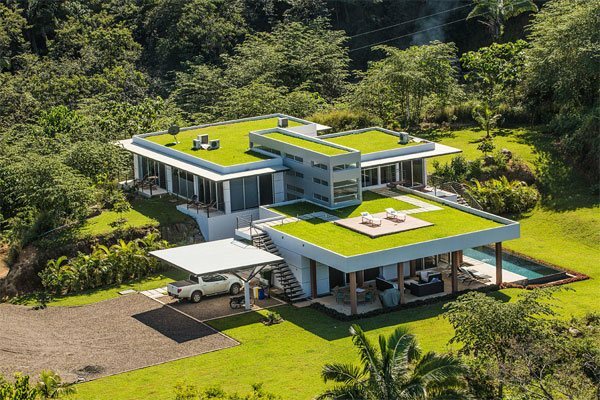 The house looks very modern yet maintaining an open and fresh design with the use of the green pastures. Achieving a luxurious look would not just depend on how big your house is or the materials that you used, but it is always on how you style it. 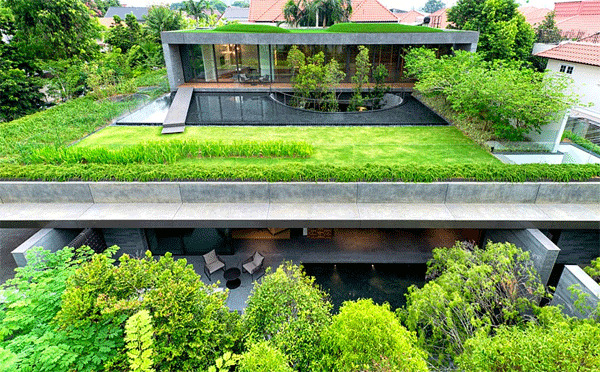 Simplicity and love for the environment of this house is defined by the lines and decorative plants being used. Stones may seem to be a strong element but adding green plants would soften its texture creating a marvelous living. 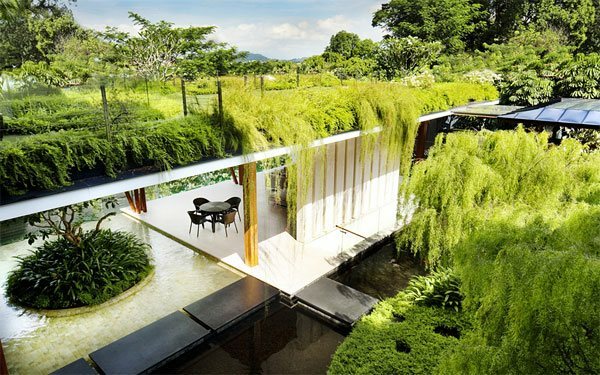 Creating a plane like this has a great benefit; your roof can be an extension of your garden. 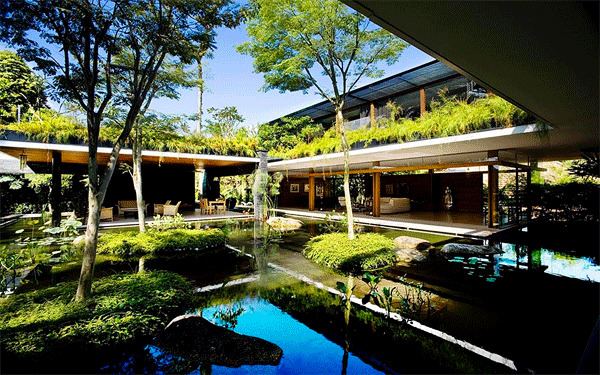 Of course a landscape of plants and trees will never be complete without ponds or any form of water source. I’m pretty much sure that rainy days will not worry you so for there will be a recipient for the rainwater. 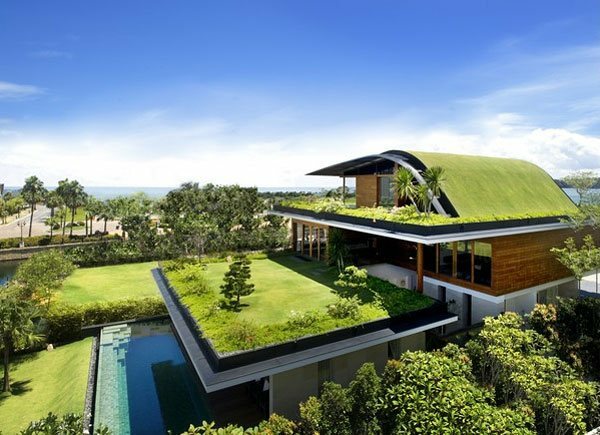 If you can’t have garden on your ground then let it grow on your roofs. It will create a beautiful design for your house. The structure of this house is formed by two intersecting bar shapes which looks very distinct. 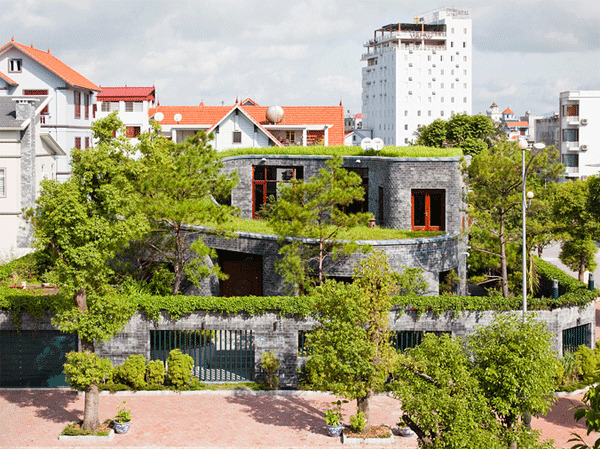 The meadows are continuously applied throughout the area from the roof to the ground creating a green environment. 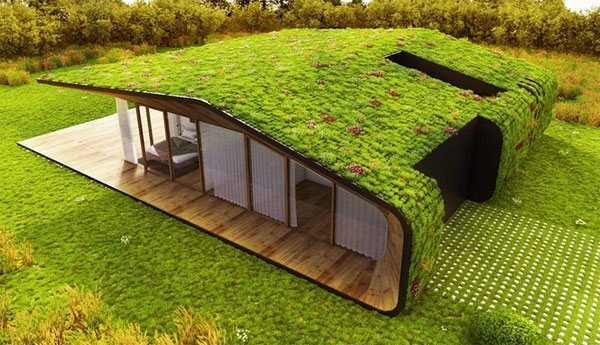 You may even think if this is really a real house? Well, yes it is! 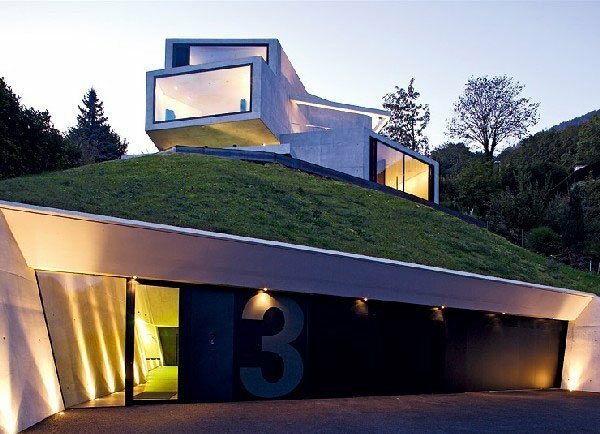 Its shape is very bizarre – C-shape house – spaces are well-defined. 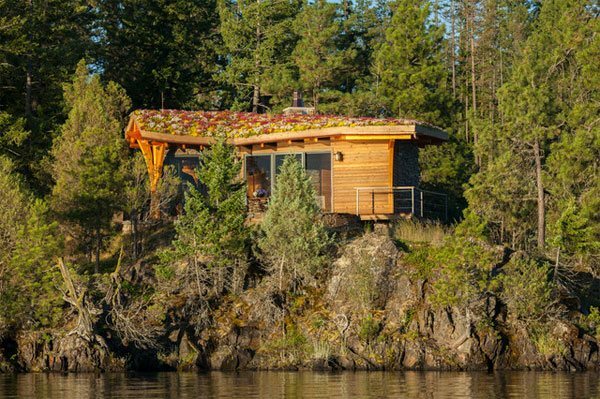 The look is very well-coordinated – from the ground to the roofing rocks and pebbles are used as element. The more plants that surround your house the more fresh the feeling will be. This one’s for young bachelors, the lines and the style exemplifies masculinity. 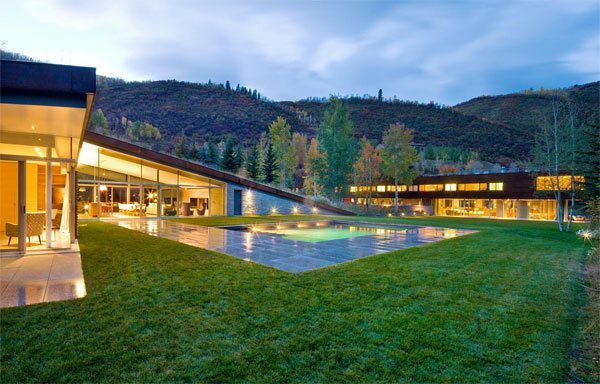 Placing your house at the hillside would be a brilliant idea for you got to witness remarkable views. 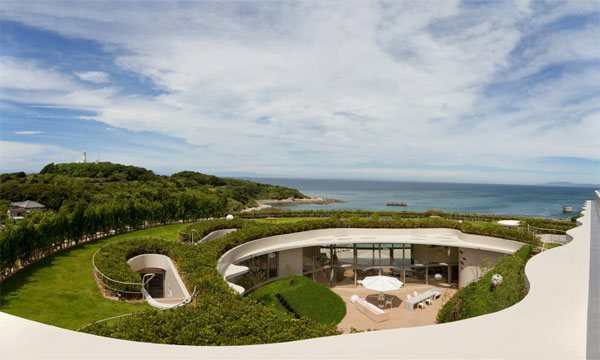 I wonder how many tons of sand was carved out just to form a magnificent style for this house. 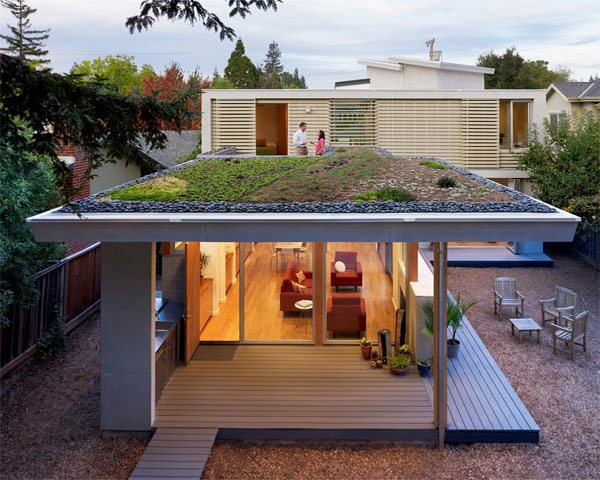 It would be better to make use of the roofing like adding some living plants to augment the freshness of your courtyard. Can you imagine how healthy would it be to live in a world that has so much love for the environment? Imagine it as a picture of a healthy and worry-free life. We are the one who are responsible in this habitat so we must know how to prevent climate change and global warming. 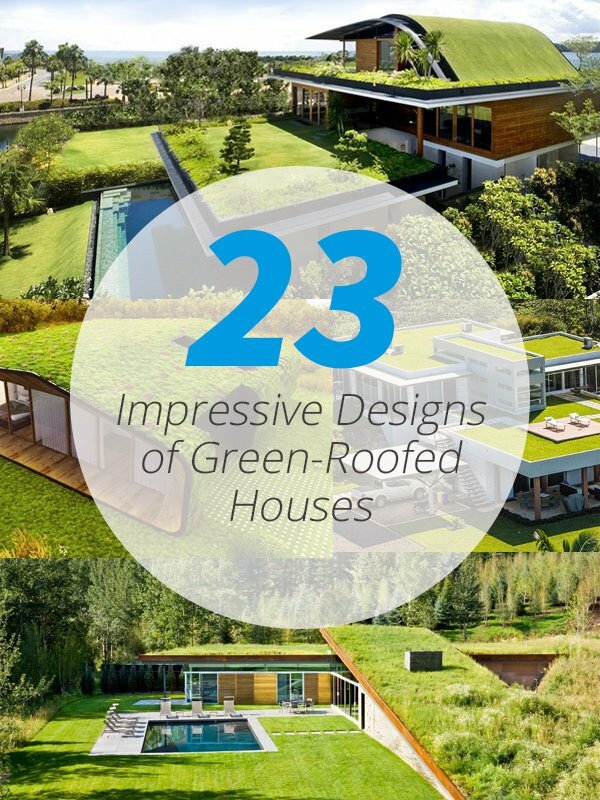 So better create a habitat that provides more oxygen that would make our environment greener.